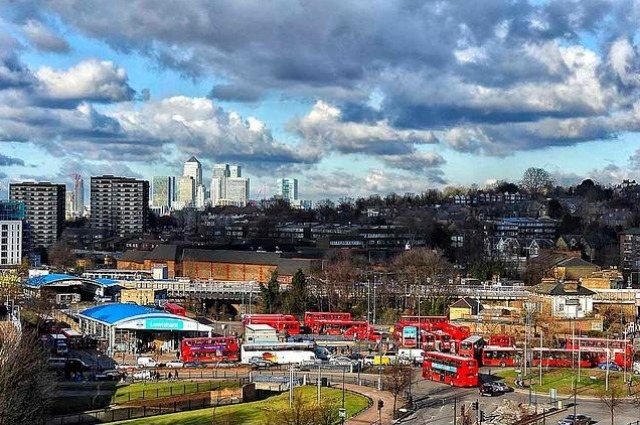 Following on from our recent guide to Barnet, Hayley Dunlop takes us round the south-eastern borough of Lewisham. Villa Moura somehow manages to ooze Mediterranean hospitality even before you step through the door. OK, so its al fresco dining area is perhaps a tad optimistic, but the authentic Portuguese vibe indoors is fantastic, and the service is homely and ever-so-slightly cheeky, in the best possible way. Make yourself comfortable, order copious amounts of 'Green Wine' and be prepared to feast on some of the yummiest seafood you're ever likely to sample. Set in attractive gardens, the Horniman Museum has something for everyone, and is a great alternative to the Natural History Museum if you want to avoid the throngs of tourists. Music lovers will enjoy their permanent exhibition of musical instruments, and there's also a neat little aquarium, where entry is a rather bargainous two quid (£1 for children). Up yours, South Bank! The clue is in the name, so although the Dirty South is a bit rough and ready, it certainly attracts some great bands and is one of the only drinking haunts in the Lewisham area with a late license (as far as I'm aware). In the past year I've seen the classic 90's band Dodgy play a spine-tingling (seriously!) acoustic set, and have been thrown around in a sweaty mosh pit at a secret Babyshambles gig. Even Pete Doherty graced us with his presence! This is one of those pubs that you'd never, ever stumble across. And, because you have to seek the Dacre Arms out in the residential back streets of Lee, it's a rare gem in London. If you're looking for urban hip, comedy nights or pub quizzes then search elsewhere, but if you're looking for a cosy, friendly pub with a selection of guest ales on tap (Doom Bar, Bombadier, London Glory, Greene King IPA and a few Courage beers on during our last visit), and a lovely beer garden where you can happily wile away a Sunday afternoon, then the Dacre Arms is the place to go. The Dacre Arms aside, decent pubs are sadly lacking in and around Hither Green, but decent coffee shops and cafes most certainly are not, with at least three or four new ones springing up in the past few months alone. Although You Don't Bring Me Flowers next to Hither Green train station is without doubt the prettiest, my personal favourite is the Cafe of Good Hope on Hither Green Lane. There's a great selection of drinks and hearty soups, and — best of all — the profits go towards the Jimmy Mizen foundation, which was set up in memory of the 16-year-old who who was tragically murdered in the area in 2008. When I heard the crazy rumour that a mini golf course was being built in Hither Green I guffawed. But, lo and behold, the course opened in January 2010 and has proved to be a big hit amongst the UK's thriving and enthusiastic mini golf community, with tournaments regularly held there thanks to the fact that it is...drum roll please...the UK's one and only indoor Swedish Felt mini golf course. If you're not quite at international level yet, you can turn up without a booking and play a round on the surprisingly challenging course for a very reasonable fiver (or £3 for under 16s). This is as authentic an Italian deli as you're ever likely to find in London. Cheese, charcuterie, pasta, coffee, bread, olive oil — it's all here in one fantastic family-run shop, headed up by Antonio. Babur is a stylish Indian restaurant not far from Honor Oak Park train station. But just down the road, towards Crofton Park, is their little takeaway branch. Babur has a strong reputation — not only in the borough — and deservedly so. But if you're up for a night in, get them to deliver their tasty treats instead, and choose from a selection which is definitely a notch above your standard curry fare. There are loads of great parks in the borough, but I'm going to give a shout out to an underdog. Mountsfield Park may not have an ornamental garden, a lake or a nature reserve, but it's a smashing family-friendly open space, with views across south London. It's also home to the the annual Lewisham People's Day. The park also boasts Stainton Tea Rooms — a cheerful cafe that sells drinks, home-made ice cream, and a good selection of food. When I moved to the area, the beautiful grand property in Manor House Gardens was being renovated into what I presumed to be flats. My delight when I discovered that it was actually being converted into a library was probably over the top, but as a keen bookworm, having this library down the road, with its helpful staff and immaculate selection of books — all housed within stunning listed architecture — is incredibly handy. Thankfully the library has escaped the recent cutbacks, but many others in the borough haven't been so lucky. By Hayley Dunlop. Follow Hayley on Twitter, read her blog, or her pun blog. Please leave a comment below if you have other recommendations for the borough. If you're interested in putting together a guide to your own borough, drop us an email to hello - at - londonist.com.